Your patio furniture was beautiful the day you bought it, but with time it begins to look kind of beat. The barbecue drippings from the prior year, the wind-blown dirt and pollen, and the cycle of sun and precipitation really do a number on your outdoor furniture. If you haven't cleaned your patio furniture in a few years, you may think it's time for a replacement. However, a thorough cleaning with some detergent and a pressure washer will have your lawn furniture looking like new again. First, you'll need to bring your furniture to a flat and durable surface, such as a driveway or patio, and remove all cushions. For a basic wash, use a delicate low pressure spray pattern and work your way from the top down. Reattach your vinyl and repeat the process. 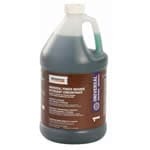 Use a pressure washer safe detergent to clean stained or extremely dirty furniture. Pesky stains should always be cleaned by hand in order to be removed properly. This can by done by scrubbing it with a utility brush, using soap and hot water. When all the stains are removed, make sure to rinse everything off and flush away any detergent that can hide in the cushions. 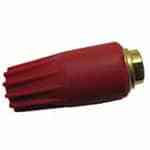 A turbo nozzle can be very useful for those tougher jobs, such as raw iron or old furniture frames that have never been cleaned. In these cases, rinse, apply detergent, and blast away with your turbo nozzle. Outdoor Furniture Restoration.. Our Power Equipment Direct how-to library can help you learn about Proposition 65 Product Labeling, Sales Tax Information and Product Recalls for Pressure Washer Equipment.